SAO PAULO — World Cup and 2005 Ballon D’Or winner Ronaldinho confirmed on Wednesday his retirement from football. The 37-year-old’s last professional football match was in 2015 for Brazil’s Fluminense. The Brazilian’s brother and agent announced the player’s decision on Tuesday. Ronaldinho confirmed the decision one day later in an Instagram post. "After almost three decades dedicated to football, I say goodbye to my biggest dream. A fulfilled dream," the playmaker said. "I did what I love the most as a professional for 20 years and another 10 years in the academy. I lived this child’s dream intensely." 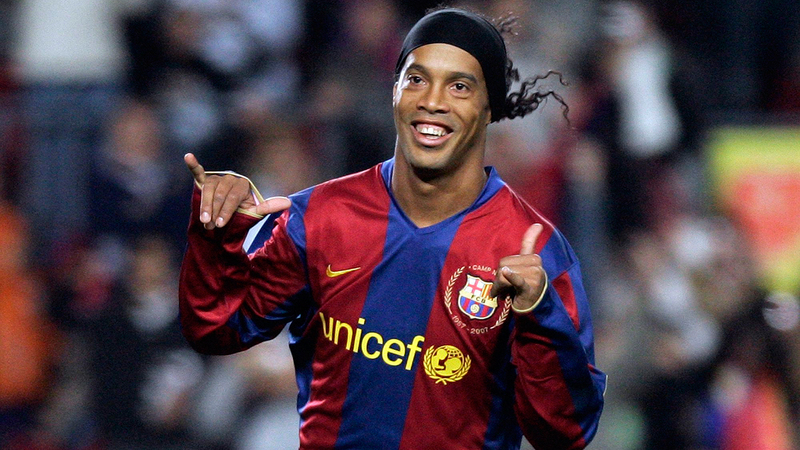 Ronaldinho, who had his best club moments at Barcelona, thanked teammates, coaches and fans for his career. He also praised the football with a reference to Real Madrid’s legendary player Alfredo di Stefano (1926-2014). "Thanks, old woman, for being my biggest source of inspiration for so long," Ronaldinho said. "You know me and you know that I am shy, I am not used to speaking much. But thank you all from the bottom of my heart." Ronaldinho said he will announce details of the farewell in March. On Tuesday his agent Roberto Assis told the Associated Press that Ronaldinho’s plans include being a football ambassador for Barcelona, doing charity and working with music. Ronaldinho’s decorated career also includes one Champions League victory with Barcelona in 2006 and two FIFA player of the year Awards in 2004 and 2005. He played 101 matches and scored 35 goals for Brazil from 1997 to 2013. At the Camp Nou, Ronaldinho was an integral member of a squad that took Barca back to the limelight. The Brazilian played 207 games for the Catalans and gave 94 goals and 61 assists to the team. Ronaldinho’s club career also includes Gremio, Flamengo and Atletico Mineiro in Brazil, Paris Saint-Germain in France, AC Milan in Italy and Queretaro in Mexico. Several clubs and players around the world are still praising Ronaldinho for his football legacy, including his former teammate and protegee Lionel Messi. "I learned a lot by your side. I’ll forever be grateful to you for making everything so easy when I joined the first team," Messi said in his social media channels. "I was lucky enough to share many things with you and I’m really happy about that because, as well as being a star out on the pitch, you’re an excellent person and that’s the most important thing. Although you’ve decided to retire, football will never forget your smile," the Argentine said. Three-time World Cup winner Pele also gave praise to the retiree. "You brought a smile to everyone’s face, Ronaldinho. I hope you glide through life, like you glided through tackles," Pele said.